Mount Pleasant Road | JustRunLah! Experience the old world charm of period black-and-white bungalows along this 1353m route. 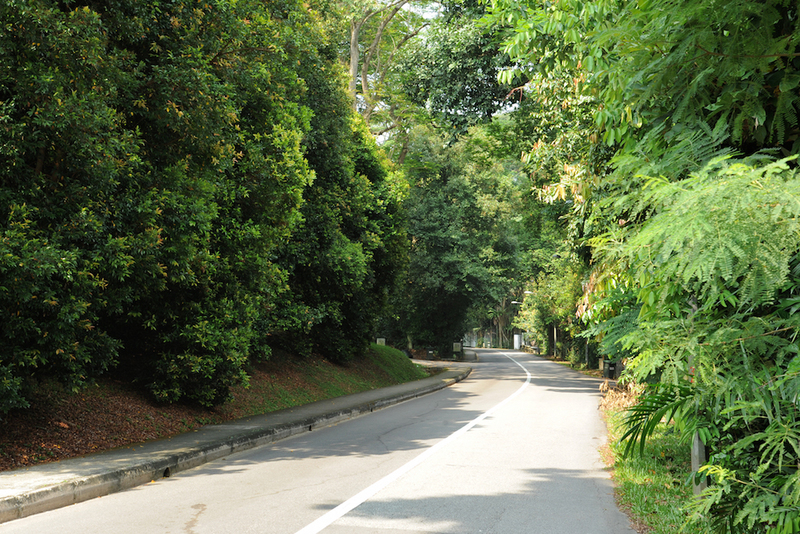 Among the Saga trees, the meandering and serene Mount Pleasant Road makes a relaxing environment for runners. This 1353 metres stretch of road and pavement dates back to pre-war eras, bringing you on a journey through time as you run, drive or cycle along the route. Along this route, you will come across the old world charm of period black-and-white bungalows fronted by wild sown trees such as cinnamon, palms and figs. The elegant pre-war homes give Mount Pleasant Road a unique charismatic appeal and makes this an interesting route for runners and cyclists.